Homemade Kale & Sweet Potato Soba Noodle Soup with tofu and Great Northern white beans for protein. 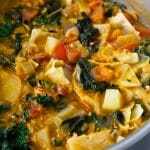 A healthy, easy, and deliciously savory soup that takes less than 30 minutes to make. Soup is the one food that feeds the soul. It can make a sick person feel better, a sad person feel loved, a cold person feel warm, and a hungry person feel completely satisfied without being weighted down. 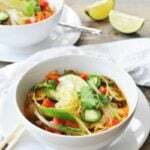 This vegetable soba noodle soup is no exception. Let’s start with the base. A light vegetable broth that’s spiced up with fresh ginger, ground cumin, and a dusting of turmeric for good measure. Then there’s the antioxidant rich sweet potato and kale. So. Many. Vitamins. And so, so good together. 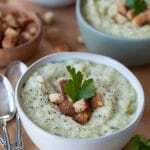 There are also two sources of protein in the mix, tofu and Great Northern white beans, which also add fabulous texture. And of course, you’ll find onion, garlic, salt, and pepper, because they’re the core of most of our savory recipes. This delicious heartwarming kale and sweet potato soup is super easy to make. It will take you about 30 minutes to make a pot of this soup, so it’s perfect for a quick lunch or dinner. You would think that you would be able to throw the noodles into the soup pot and let them cook in the broth, and you could, but they won’t turn out as well as they will if you cook them separately. Other than that, this is a one pot soup. 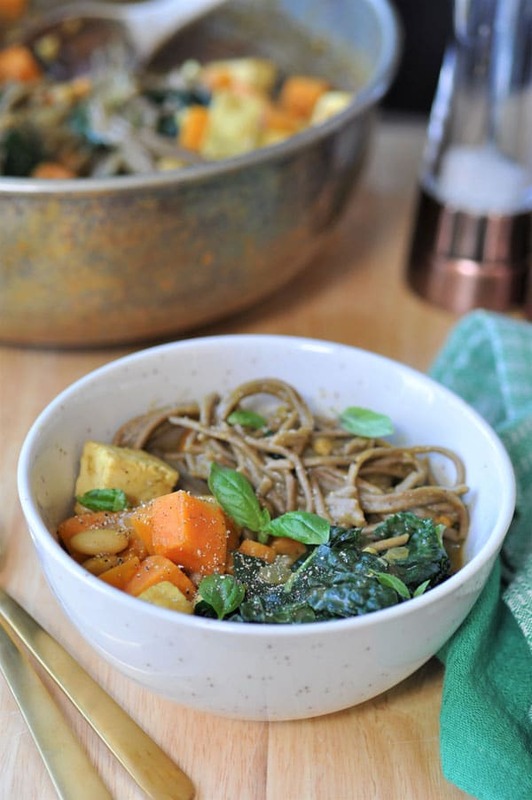 First – Boil a pot of water for the soba noodles and heat the olive oil in a medium soup pan. When the oil is hot add the sweet potato and onion and cook until the potato begins to soften, approximately 8 minutes. Second – Add the garlic and cook for two minutes, then add the vegetable broth and bring to a boil. Third – Reduce the broth to a simmer and stir in fresh ginger, cumin, turmeric, and salt and pepper to taste. Add the beans and tofu and stir. Simmer for 20 minutes. Fourth – 10 minutes before the soup is ready, cook the noodles according to the instructions on the package. Fifth – Drain the noodles and stir them into the soup, then add the kale and cook until just wilted, approximately 1 to 2 minutes. 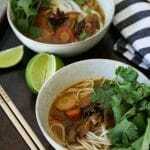 This soba noodle soup with vegetables is best eaten the day that you make it because the noodles get mushy the longer they sit in the broth. If you don’t mind that, you can store it in an air-tight container in the refrigerator for up to 3 days. 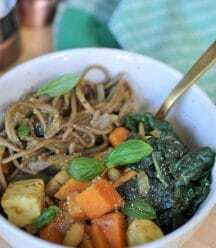 Make this healthy kale and sweet potato soba noodle soup and come back and let us know what you think. We love to hear from you! 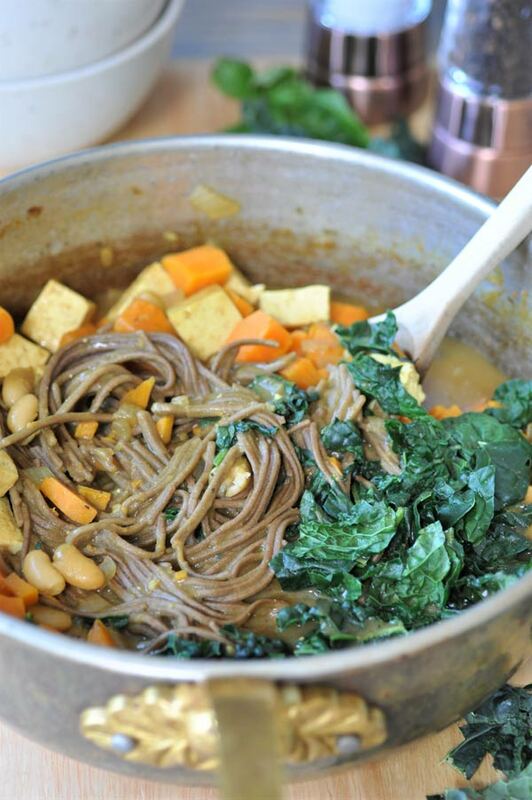 A healthy, easy, quick, and delicious kale and sweet potato soba noodle soup with tofu and beans for protein. Heat the olive oil in a medium soup pot on medium heat and add the onion and sweet potato. Stir frequently for approximately 8 minutes, or until the potato is fork tender. Add the garlic and stir in for two minutes. Add the broth, beans, tofu, and the spices and stir well. Bring to a boil then reduce the heat to simmer and cook for 20 minutes. 10 minutes before the soup is ready, add the noodles to the boiling pot of water and cook according to the instructions on the package. Drain and rinse and add to the soup. Add the kale and cook for 1 to 2 minutes, or until wilted. Make this your own. Add more or less of the spices to suit your taste. What wonderful hearty goodness all in one recipe! Sounds lovely! Perfect for fall! YUMMERS! I finally remembered to add you to my blogroll - sorry for the delay - now I will bug you more frequently LOL :) Cheers! Wow, this looks like the perfect, comforting winter meal. Love the flavors and colors, thanks! Hello, Linda. Good day! I wonder if I can make my nieces eat vegetables through this dish? I think it is a good way to mix it with pasta because kids love pasta. This soup looks fabulous! I can't wait to try it! 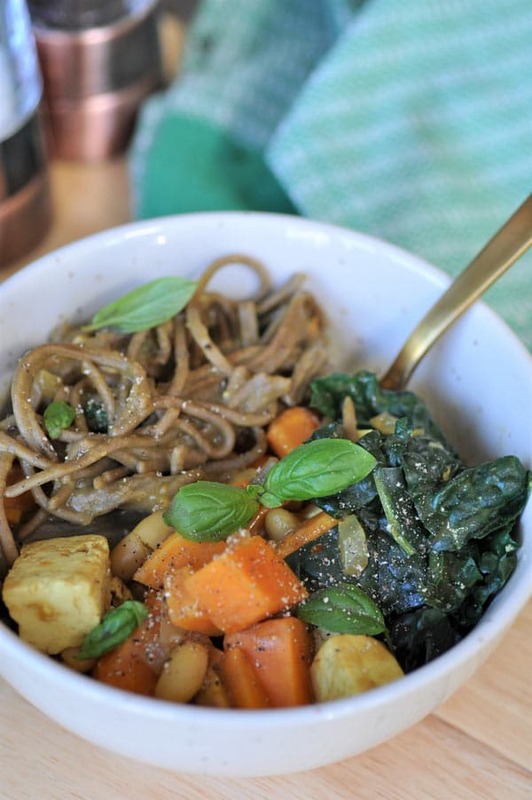 I love that you added kale and sweet potatos to this noodle bowl! Thank you, Anjali! Two of my favorites. That looks like a nourishing winter meal! 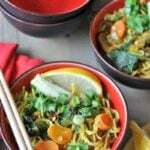 I love soba noodles, and this recipe looks so delicious and nutritious! Perfect soup for this time of the year! 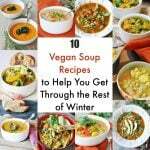 I make soups alll winter long and this looks like a great one to try soon! What i recently discovered is i use my immersion blender to blend cooked sweet potato into the broth of my soup- it gives the broth some more body and makes it a little thicker which i really like. Soba noodles are something i always have on hand, i love the nutty flavor they have !